Last week end (27-29 July 2012) a great event for startups enthusiasts, entrepreneurs, mentors, devs, students and many others took place. 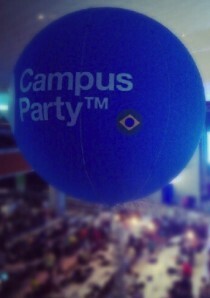 It was the Campus Party Recife. I was not there, unfortunately. But I would love to show you some pictures.